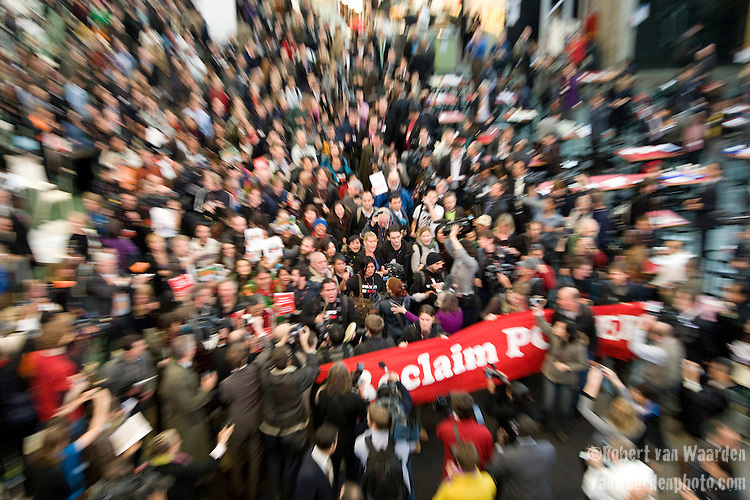 Members of Civil Society and delegates from countries from COP 15 stage a protest inside the Bella Center. The individuals were from a diverse range of groups and marched out to join the Reclaim the Power action outside of the COP. They were protesting the current stage of talks and the current lockout of civil society from the COP. Dec. 16, 2009, Copenhagen.